Objectis does not provide any space for commercial use. We do not give any warranty of service (although we will obviously do our best), so commercial sites may suffer for service interruptions. That is why any commercial use of this service is forbidden. 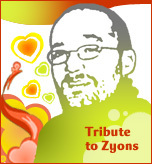 Objectis is a free service, and a limited set of Zope products are available. Obviously, like in any other hosting provider, illegal contents (those that are illegal in France and/or in your country if your own country law applies) or contents that may be considered harmful are absolutely forbidden in Objectis. This includes racist, xenophobic, anti-Semitic and defaming contents, pornographic representations (images or texts), and illegal material (software, text, etc.) copies. Note that no MP3 and video files are allowed. We reserve the right to close the account of an user or the whole associated subdomain if we note an abusive use of our service or if an application uses too much server resources (CPU, memory, etc.). In order to save disk and to unbulk the huge Zope instances we have, our automated system automatically deletes an Objectis account after 3 months of inactivity. This time period is subject to changes. For internal and legal use, a back-up system is being deployed on the Objectis instances. In case an Objectis user really needs to restore an Objectis site, Pilot Systems will charge this user 500 euros (VAT maybe applicable) for the operation, with no garantee that this restore operation will solve his problem. The back-ups are kept for 10 calendar days, the last back-up erases the oldest one.